A dog in India proved the age-old adage of a dog being man's best friend to be true when he gave his own life to try and save his masters. The incident occurred after a 65-year-old farmer tried to save a cow that had come in contact with a snapped power cable that was still live in a village in Tamil Nadu. The farmer came in contact with the live power line and was fatally electrocuted. 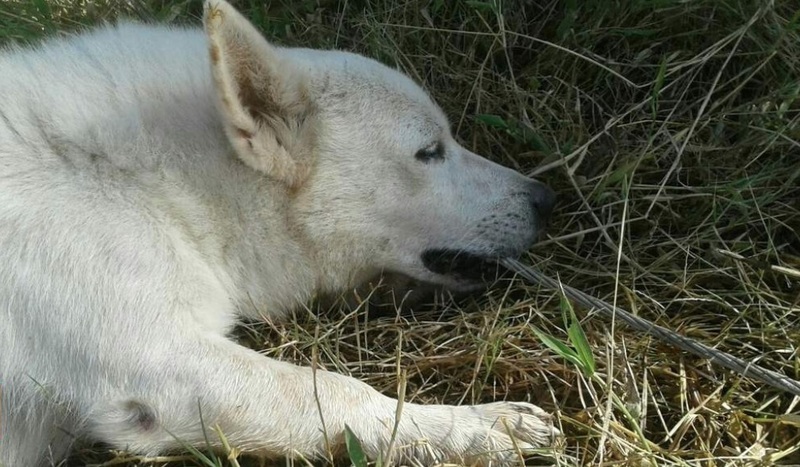 The loyal dog tried to intervene and save the farmer by pulling the cable away from him but in doing so the dog lost its own life. The farmer who was electrocuted to death was identified as M Mokkusu of Kalkondanpattii village near Usilampatti. The accident took place around 7:30 a.m. when Mokkusu led the cow to graze in his farmland. The weather took a turn for the worse bringing heavy winds which lashed the village on Monday evening. The high wins snapped a live power cable but Mokkusu did not see it buried in the tall grass. When the cow came in contact with the cable it fell down. It was when Mokkusu attempted to help revive the cow he too was electrocuted. Sensing his master was in danger, the Indian mongrel tried to help the farmer by pulling the cable away but when the dog bit into it he was also fatally electrocuted. The Uthappanaickanur police rushed to the scene after being alerted to the situation and Tamil Nadu Electricity Board officials cut the power supply. The spot began to attract local villagers when word spread of how the dog tried to rescue his master's life. oh, poor dog…. more evidence that the sub-human Asian dog-torturing filth need to be genocided.